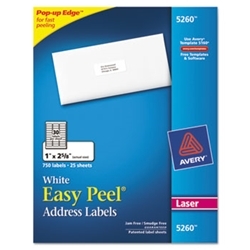 · With patented Easy Peel® label sheets, just bend the sheet to expose the Pop-up Edge® for fast peeling. · The sheet stays intact and goes back to flat. · Jam and smudge free guaranteed!